Coming off of their third week of season in which they did not experience a loss, the #20 Louisville Cardinals (24-8, 10-5) began the second half of the regular season with a bit of a hiccup. 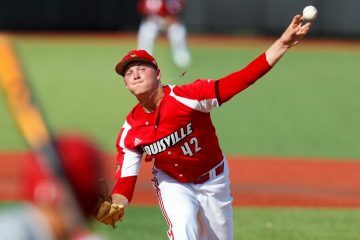 While they were able to take game 1 of the Battle of the Bluegrass by defeating the Kentucky Wildcats (17-15) 8-3 in front of the home crowd, Louisville would follow that up by dropping the road series against the #13 Clemson Tigers (24-8, 11-4) and narrowly avoided getting swept. Surprisingly, the biggest contributing factor to Louisville’s .500 week was their pitching. While the pitching staff collectively stuck out 48 batters and walked only 11, they allowed a total of 18 earned runs over the 4 games to post an ERA of 4.50 for the week. This would raise their team ERA from 2.82 at the beginning of the week to 3.03, the first time since the after the third game of the season that the team ERA has been above 3.00 (3.67). Hitting-wise, the Cardinal Nine didn’t look all that sharp with the exception of the series finale against Clemson. Over the first 3 games of the week, Louisville went 18-90 at the plate (.200) and left 17 men on base. While they plated 8 runs against UK, they were only able to scrap together 4 runs in the first 2 games against Clemson. But there is one big reason that I am not sold on the notion that offensively speaking this team will keep at a pedestrian pace, and that is the return of sophomore Lucas Dunn. In the series finale against the Tigers, the team leader in batting average’s return to the lineup was one of the key differences in the game, as he and two other Cardinals registered 3-hit days at the plate. Their 6 stolen bases in the contest (2 from Dunn) were also the most stolen bases by the Cards since a 9-base performance against Morehead State earlier this season. While a series loss to Clemson is disheartening, it is by no means a sign of things to come for the remainder of the season. If anything, Louisville fans should be optimistic now that the team has presumably returned to full strength. Coming up this week, Louisville will take on the Northern Kentucky Norse (8-22) in the midweek game, then follow that up with a road conference weekend series against the #3 NC State Wolfpack (29-4, 12-3). 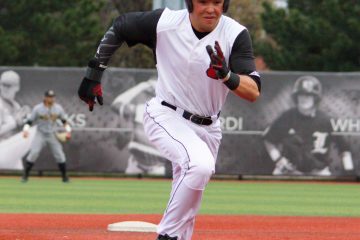 Louisville falls to #20 in both the D1Baseball and Baseball America polls. Louisville slides down to third in the Atlantic Division rankings (10-5), behind only Clemson (11-4) and NC State (12-3). Louisville is 20th in the nation in stolen bases with 63. Junior first baseman Logan Wyatt is 2nd in the nation in walks with 39. Sophomore LHP Reid Detmers is 2nd in the nation in strikeouts (86), 4th in the nation in WHIP (0.70), 13th in strikeout-to-walk ratio (8.60) and 13th in hits allowed per 9 innings (4.61). In the game against Kentucky, junior outfielder Jake Snider matched his career high in RBIs with 3, and sophomore right-hander Michael Kirian matched his career high in strikeouts with 4. Sophomore outfielder/infielder Lucas Dunn and junior shortstop Tyler Fitzgerald both matched their career highs in hits in the series finale against Clemson with 3 a piece. Junior outfielder Drew Campbell’s home run in the series finale against Clemson was his first of the season and third of his collegiate career. Freshman Alex Binelas’ home run in the series finale against Clemson breaks the tie with Tyler Fitzgerald for team leader, and puts him at 4 on the season. Louisville will start the week at home for the midweek game, then go on the road for a normal slate of Friday/Saturday/Sunday games. Adjusting the ticketed entry plan first featured last season, 17 of this season’s 34 home games will revert back to free entry. This week, the lone home game against Northern Kentucky will feature free admission. Tickets can be purchased here. In case you cannot make it to any of the games, all 4 games this week will be televised on ACC Network Extra and broadcast on 93.9 The Ville. On paper, this NKU squad is the worst team that Louisville will have faced so far this season (281 in RPI), and the second worst team they will face all season (Alabama A&M: 297 in RPI). At the plate, the Norse only have 2 starters batting over .260 and only 3 players on the roster overall. Redshirt senior Will Haueter and freshman Griffin Kain are the offensive leaders for NKU, with the duo batting .284 and .279 respectively. Sophomore Griffin Doersching is the power threat for the Norse, leading the club in home runs (6), RBIs (22) and slugging percentage (.449), but comes at a costly .191 batting average and 33 strikeouts. Outside of those 3, there are very many offensive threats. 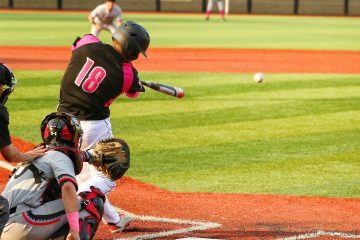 NKU is second to last in the Horizon League in overall batting average (.229) and on base percentage (.322), on top of the fact that their best win is a 2-1 series win against RPI 101st Wright State. Louisville midweek pitcher junior Luke Smith and the rest of the Cardinals bullpen should have no problem against the Norse hitters. If you think NKU’s offense isn’t good, wait until you see their pitching numbers. Collectively, they are the worst pitching staff in the Horizon League, boasting a team ERA of 7.48 and a WHIP of 2.02. Freshman right-hander Proctor Mercer, the midweek pitcher for the Norse, definitely is showing his youth this season. He sports an ERA of 6.56, with a lowly strikeout-to-walk ratio of 19-16 over 23.1 innings pitched. The bullpen doesn’t get much better, as NKU’s bullpen posts a woeful ERA of 8.11 and a WHIP of 2.20, including 5 relievers with a double digit ERA. No matter who the Cards send to the plate, Louisville should have no issue with offensive production against these pitchers. The tough ACC schedule doesn’t get any easier for the Cardinal Nine, as NC State is every bit as good as Clemson. 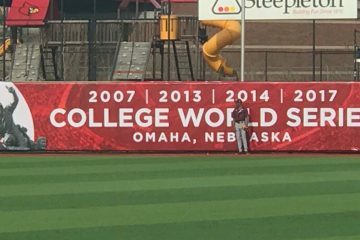 The Wolfpack were the second to last team in all of Division I baseball to remain undefeated (Arizona State), and for good reason. They are the best offense in the ACC, sporting a team batting average of nearly .300 (.293) and are one of the best power hitting teams in the country. 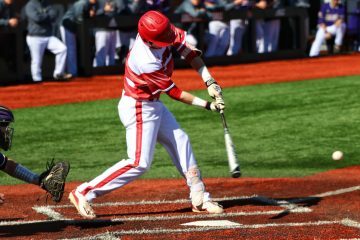 With junior infielder Will Wilson, sophomore catcher Patrick Bailey and senior infielder Evan Edwards leading off, the top of NC State’s order is arguably one of the best in the country. Combined, the trio are batting .342 with a whopping 24 home runs, 36 doubles, 70 walks and 119 RBIs. All three have on base percentages over .429, slugging percentages over .620, and an OPS over 1.060. Collectively, Reid Detmers, Nick Bennett and Bobby Miller are going to have to do a better job of limiting extra base hits than how they did against Clemson if they are going to have any success against these Wolfpack hitters. On top of their world-class offense, NC State also has a pitching staff that ranks in the top half of the ACC to boot. Instead of having a pitching staff that has a couple stars that boost the numbers for the rest of the pitching staff, collectively they all post good numbers without the caveat of having a couple greta pitchers standing out on the stat sheet. Their weekend rotation is solid, with right-handers Jason Parker & Reid Johnston and left-hander Canaan Silver combining for an ERA of 2.38 and a WHIP of 1.13 with a strikeout-to-walk ratio of 92-32. Their bullpen is arguably the deepest part of the roster, with 10 relief pitcher having seen between 13.2 and 20.1 innings pitched. Depending on batter/hitter matchups, this could also play very well into Louisville’s hands, as these 10 pitchers have ERAs that range between 1.37 and 9.74, with 5 of them having ERAs of 4.00 or more. 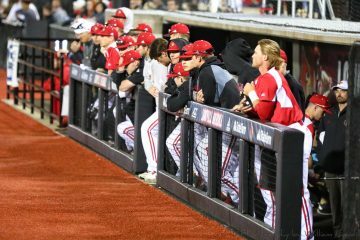 The biggest key for Louisville in this series will be running up the pitch count for NC State’s starting pitchers and trying to force the Wolfpack to exhaust their bullpen. With the return of Lucas Dunn and the subsequent burst in offense as a result, the Cardinal Nine could very well have a recipe for success on the road. I predict that after taking care of business against Northern Kentucky, Louisville will march into Raleigh and hand NC State their first conference series loss of 2019 with a 2 game to 1 series victory.